The Distortion + is a classic stompbox from MXR. 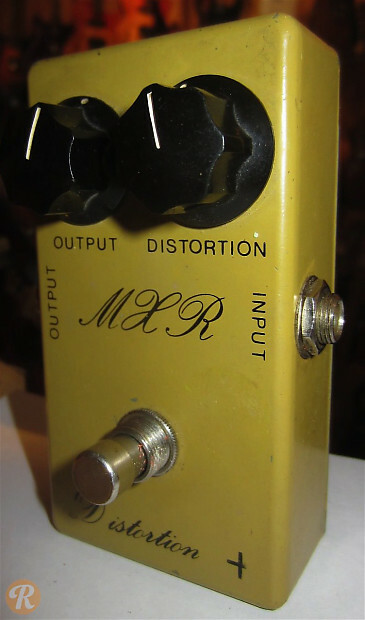 At the end of the '70s, the MXR logo used on the model changed from a cursive or 'script' logo to a thicker block logo. The earlier script models are more sought-after.